Cao Yi is an instructor at the oil painting department in Central Academy of Fine Arts (CAFA). 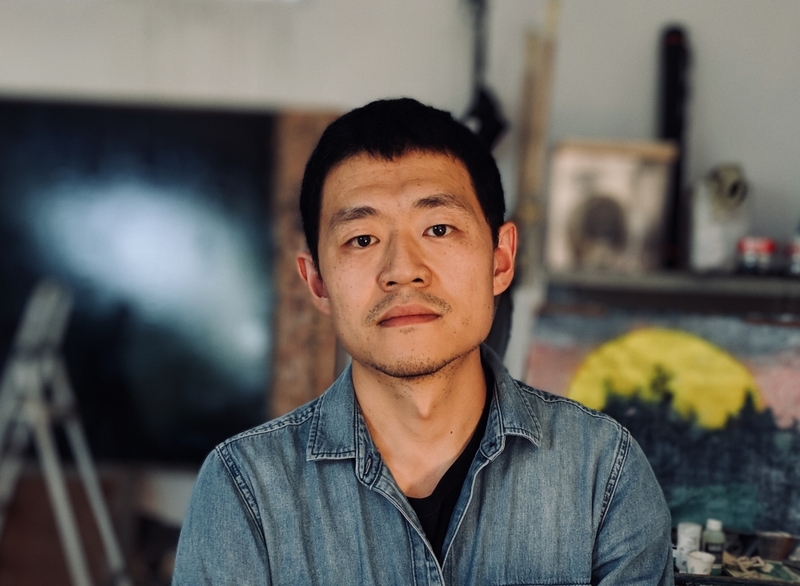 He was a sculpture major at CAFA and his graduation project was a series of plaster statues covered with hair, an experimental set of self-portraits using unconventional materials. He continued his studies at the New York Academy of Art, but studied traditional western painting instead. His recent paintings seem to deliberately blur the boundaries of various techniques. With both the forms and techniques seemingly simple and straightforward, his works give us a sense of child-like persistence. There is a purity to his works, as if the artist is whispering into the canvas for an extended period of time. In Cao’s art, classical and modern techniques are mixed with experimental techniques and contemporary materials. The way they integrate is very subtle, and held together in a delicately balanced, fragile manner.